accomodating up to 12 to 14 diners. 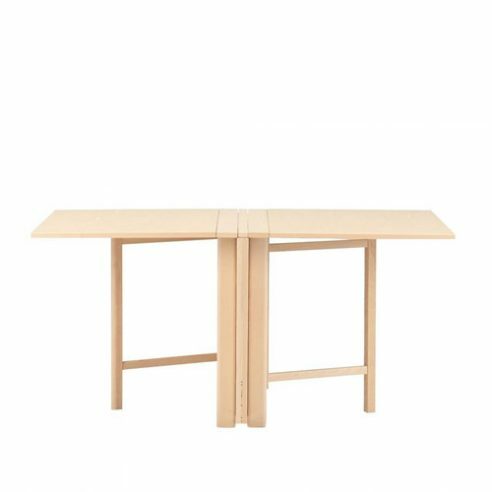 The MI901 folding table is the perfect choice where space is limited. The design is a continuation of familiar form, the gate leg table a practical design that has been common in European homes since the 16th Century. Mathsson’s dual gate design can be quickly expanded to its maximum length by just one person familiar with the technique.